OMG Posters! 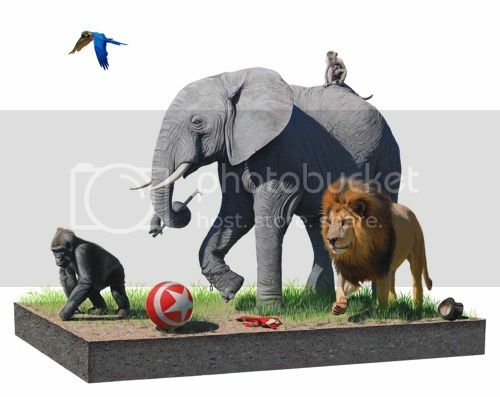 » Archive "Exodus 1" Art Print by Josh Keyes (Onsale Info) - OMG Posters! Seattle’s Roq La Rue Gallery will release this beautiful new art print by Josh Keyes later this week. “Exodus 1″ is an 18″ x 24” giclee, has an edition of 50, and will cost $275. It will be available Friday, November 9th at 5pm via walk-in only. Cash only. Any leftover prints will hit their website next week. All profits will benefit Big Life Foundation. For more info, visit RoqLaRue.com. Unfortunately no way this gets online. Pretty print though. I wonder if it’s CMYK or multi-layered. Any details on the printing process Mitch ? really nice when you click through a bunch of times to see it a bit bigger. To @MattB’s point there looks to be blood on the lion’s paw and the baboon looks to be holding a baby chimp. Love it but $275 and the fact it probably won’t make it to the web means I’m out.